Audio from the committee stage of the Criminal Records (Expungement of Convictions for Historical Homosexual Offences) Bill. It was introduced into Parliament by the Justice Minister Amy Adams on 6 July 2017. 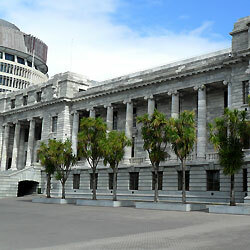 It is the first expungement scheme to be created in New Zealand. The Bill was reported back to the House without amendment. The report was then unanimously adopted.